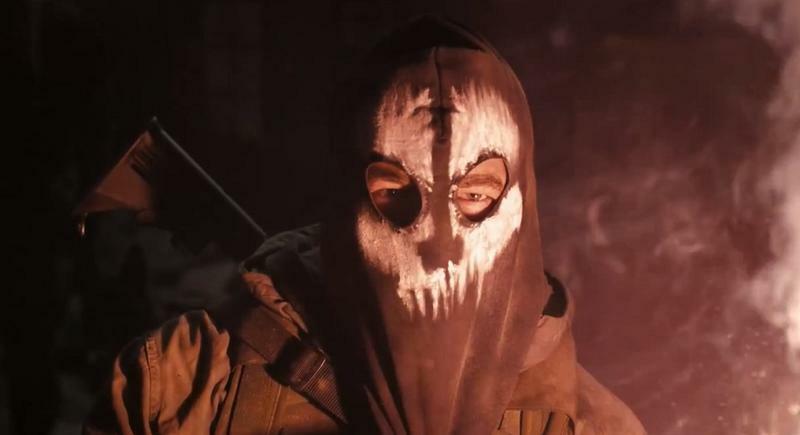 The brand new Call of Duty: Ghosts has been announced with a new teaser trailer. This Call of Duty also sports a brand new engine. A press release was sent out to media, which you can find in full at the base of this post. The biggest details run in one single line of the release. The release also indicates that Call of Duty: Ghosts will ship for the Xbox 360, PlayStation 3, PC and next-gen consoles. Finally, the game will be revealed fully at Microsoft's recently announced next Xbox event on May 21st, 2013. We'll have more on this one as it comes. Santa Monica, CA – May 1, 2013 – Prepare for the next generation of Call of Duty®. The franchise that has defined a generation of gaming is set to raise the bar once again with the all-new Call of Duty®: Ghosts. Published by Activision Publishing, Inc., a wholly owned subsidiary of Activision Blizzard (Nasdaq: ATVI), and developed by Infinity Ward, the studio that created the original Call of Duty and the seminal Call of Duty®: Modern Warfare® series, Call of Duty: Ghosts ushers in the next generation of the franchise. The new title delivers a riveting all-new gameplay experience built on an entirely new story, setting and cast of characters, all powered by a new, next generation Call of Duty engine that redefines the series for the next generation. "Infinity Ward set the gold standard for first-person action for a generation, and they're going to do it again with Call of Duty: Ghosts," said Eric Hirshberg, CEO of Activision Publishing, Inc. "Ghosts delivers an all-new story, all-new characters, an all-new Call of Duty world, all powered by a next generation Call of Duty engine, which is a leap forward for the franchise. Infinity Ward is going all-in to create the next generation of Call of Duty worthy of the world's greatest fans." "Everyone was expecting us to make Modern Warfare 4, which would have been the safe thing to do. But we're not resting on our laurels," said Mark Rubin, executive producer of developer Infinity Ward. "We saw the console transition as the perfect opportunity to start a new chapter for Call of Duty. So we're building a new sub-brand, a new engine, and a lot of new ideas and experiences for our players. We can't wait to share them with our community." To see an exclusive first look at Call of Duty: Ghosts tune in to Xbox: the Next Generation Revealed on May 21 at 10AM PDT on Xbox.com, Xbox LIVE or SPIKE TV for the debut of the all-new game from Infinity Ward. "We are consistently thrilled with the overwhelming response received from critics and consumers alike to the Call of Duty series, which has firmly established its home on the Xbox 360 with the game's largest and most engaged community," said Don Mattrick, president of the interactive entertainment business at Microsoft. "With Call of Duty: Ghosts, we have no doubt that our longtime partners, Activision and Infinity Ward, will raise the bar higher than ever before for this incredible franchise." Starting today, fans can begin pre-ordering their copy of Call of Duty: Ghosts at retail outlets worldwide. "There's no other video game property like Call of Duty. It's the biggest game franchise on the planet that has had some of the biggest game entertainment launches in history," said Tony Bartel, president of GameStop. "We are very excited for the launch of Call of Duty: Ghosts, as we transition to next generation consoles." Call of Duty: Ghosts will release on Xbox 360® video game and entertainment system from Microsoft, PlayStation®3 computer entertainment system and PC on November 5. Call of Duty: Ghosts will also be available for next generation platforms. For the latest intel, check out: www.callofduty.com/ghosts, www.facebook.com/CODGhosts, or follow on Twitter @InfinityWard. Call of Duty: Ghosts is not yet rated.